Treat yourself to a set of full, beautiful lashes. Our certified esthetician will expertly apply high quality lashes that enhance your facial features all while you relax and enjoy the easy atmosphere of Mia Bella Beauty Lounge. Ditch the curlers and mascara and make your lashes look longer, curled, and flirty with a Lash Lift! This one hour process lifts and curls lashes right from the root giving you a beautiful lash line. It’s non-invasive, and lasts 6-8 weeks! After a perming treatment and a setting lotion, you have the option of having your lashes tinted to make them more pronounced. 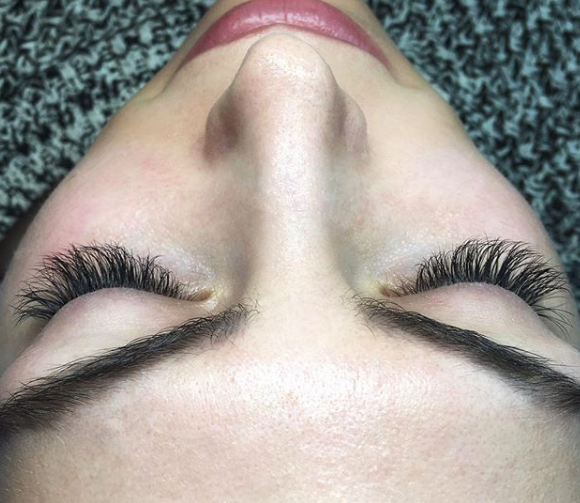 Lash Lift is the perfect treatment for clients who are not suited for eyelash extensions, clients who have outdoor allergies, clients who use eyelash growth enhancers, or clients who want to enhance their natural lashes! There is minimal aftercare required! Swim, shower, and play with no fuss! No, the procedure is totally painless. You will have your eyes closed for the entire treatment which offers you a chance to relax and take a moment for yourself. Yes. Lashes are lifted onto our specially shaped silicone lifting pads before the products are applied. No. We use the Elleebana Lash Lift, which is a superior formulation that is nourishing and conditioning. Yes, but it is advised that you leave your lashes untouched for at least 24 hours after your treatment. You may find that there is no need for mascara anyway, but if you wish to make your lashes even fuller, a non-waterproof mascara is advised as the removal of waterproof mascaras can be harsh on the lashes and weaken the lift. Longer, more voluminous eyelashes are yours without the messy, smudged mascara! Our Esthetician, Kelly LeBlanc, applies each single extension one lash at a time to your own individual lashes. A full set lasts for about one month and your cruelty free, faux mink eyelashes will fall out with your natural eyelashes, as a natural lash cycle is 28 days. Depending on what kind of look you desire, Kelly is able to customize your lash application to your personal needs and specifications. We can apply your extensions to look either dramatic or natural! Discover a new you with instantly thick, long, voluminous, curly lashes using professional application techniques. A method where one lash extension is glued to one natural lash. Classic lashes are perfect for the client who wants to add more length and achieve a darker lashbed Classic lashes look more natural and give you that fluffy mascara look! (3D) lashes- When multiple lashes are applied to one single natural eyelash individually isolating one natural eyelash at a time. Using very thin lashes. If two eyelash extensions are applied to one natural lash it’s described as 2D, if three eyelash extensions are applied to one natural eyelash then it’s described as 3D etc. Volume lashes are lighter, fluffier and give a fuller look. Volume lashes are perfect for the client who doesn't have a lot of lashes, has sparse lashes, bald spots or just wants a more dramatic look without having to use a thicker lash. 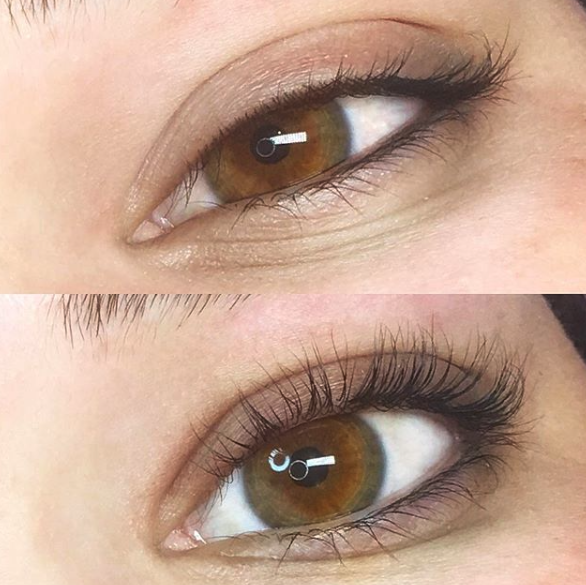 Mixed Lash Extensions are a combination of both Classic and Advanced Russian Volume Lash Techniques. We'll say these are "the middle of the road" for those who can't decide on which set is best. Mixed sets would be ideal for those who they want a little more than classic but don't want to go for the volume set, or just want extra volume on the corners or to hide the gaps between their natural lashes. So it could be 1 mink extension followed by russian lashes, using half and half of the 2 different extensions or starting from the inner corner of the eye and go half way with mink extensions and finished by russian lashes to give you fuller look at the outer corner of the eyes. Volume extensions are a lot finer, they come in 0.07mm thickness and they are softer too, giving you a very lightweight finish.